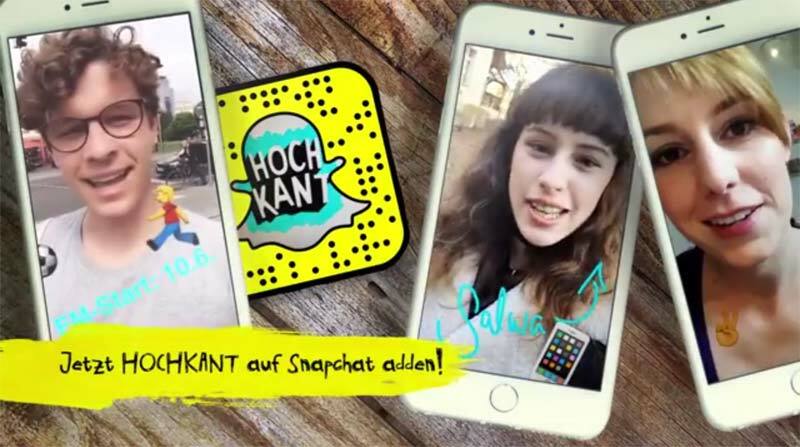 German public service broadcaster RBB (Rundfunk Berlin-Brandenburg) has embraced Snapchat to launch a news service targeting 14 to 18 year-olds. The service, Hochkant (“vertical”), aims to reach teens who typically do not watch much television news or have news apps installed on their smartphones. 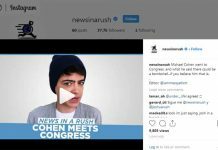 It provides high-quality journalism to a young demographic who receive and share much of their news – and rumours – through friends via social media. The brand is positioning itself as a trusted friend for its mobile viewers. Produced by RBB youth radio station Fritz, it offers news coverage in two formats. On weekday mornings, it runs four or five top news stories. In the afternoons or evenings, there is a more in-depth or background report. 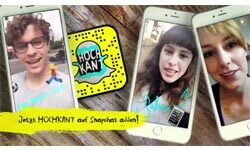 Hochkant is fronted by young presenters Salwa Houmsi, Eva Schulz and Florian Prokop, who offer their take on everything from major political events to pop culture. The hosts send in their stories both from Germany and on location. 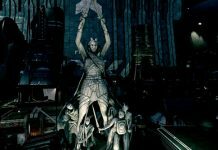 Eva Schulz contributed reports from the USA during the final days of the presidential campaign, for instance. Snapchat users can also get involved, as they are able to directly contact the presenters, ask questions, and send pictures and videos. Hochkant is one of 40 original productions being made for Funk, a youth-oriented multi-channel network (MCN), which was launched in October 2016 by public service broadcasters ARD and ZDF. Funk distributes its content via a range of platforms including Snapchat, Facebook, Instagram YouTube and the Web. 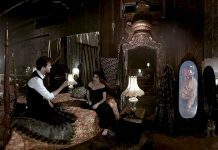 It was conceived as a more effective way to reach younger viewers than a proposed TV channel for 14 to 29 year-olds. It also offers rising talent a new way to attract a digital audience, via an advertising-free alternative to commercial MCNs. Futurescape’s comprehensive The Snapchat Report provides key analysis and essential data for creating winning strategies and innovative content in mobile TV. 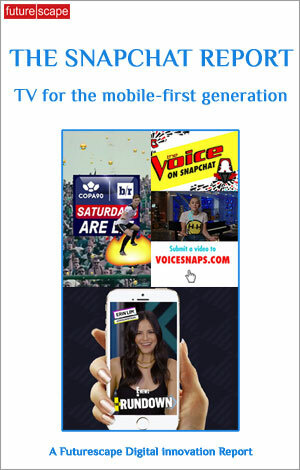 The first critical and independent appraisal of how international television broadcasters are innovating original TV content and formats on mobile, partnering with Snapchat. Access in-depth analysis, broadcasters’ strategies, Snapchat TV shows and new formats, advertising opportunities and key data: 133 pages, 29 tables and charts.